You can speed up your first pass at transcription dramatically by uploading your video privately to YouTube and using its transcript auto-generator. There are online automated transcription companies, but you can upload a video to YouTube and generate a transcript free of charge. The quality of these transcripts has improved noticeably over the last year or so, and will only get better with time. As with any kind of automated transcription, this works best for video that has clear audio, with speakers who don’t talk over one another, and don’t have heavily accented speech. You need to assess the issue of privacy, because even though you can upload the video privately and quickly delete it once you have created your transcript, IRB requirements may not permit you to do it. You will also need to make sure that YouTube provides automated transcripts for the language or languages used in your video. It’s an easy process, so scan through the steps below to see what’s involved. You can create a lot of first-draft transcripts in quick succession. First, let’s look at how I generated a transcript automatically for a short news story publicly available on YouTube. On the right side of the screen, you’ll see the auto-generated transcript appear. Depending on the length of the video, it may take 20-30 seconds for the entire transcript to finish. YouTube automatically inserts time codes every two to three seconds, but these are not precise enough for use in Transana. 3. Click the three dot menu button at the top of the Transcript box and choose ‘Toggle Timestamps’ to get rid of the time codes. 4. Put your cursor at the beginning of the very first word and highlight the entire text, all the way to the bottom of the transcript. 5. After you have uploaded your video as an Episode in Transana and created a Transcript, paste the text into the Document Window as your Transcript. Play the video in the media window and as you go along you can quickly correct words, add speaker identifiers, and completely format the transcript as needed, including appropriate breaks and capitalization. Because you don’t need to type word for word, and go back over and over, you can upload a draft transcript, correct it and add time codes in as little as a quarter of the time it would take if you were typing out the transcript from scratch. 1. Sign into your account on YouTube, or create one if you don’t have one. On the menu bar at the top of your YouTube home page, you’ll see an icon that looks like a video camera with a ‘+’ on it. 2. Click it and choose ‘upload video’ from the menu. 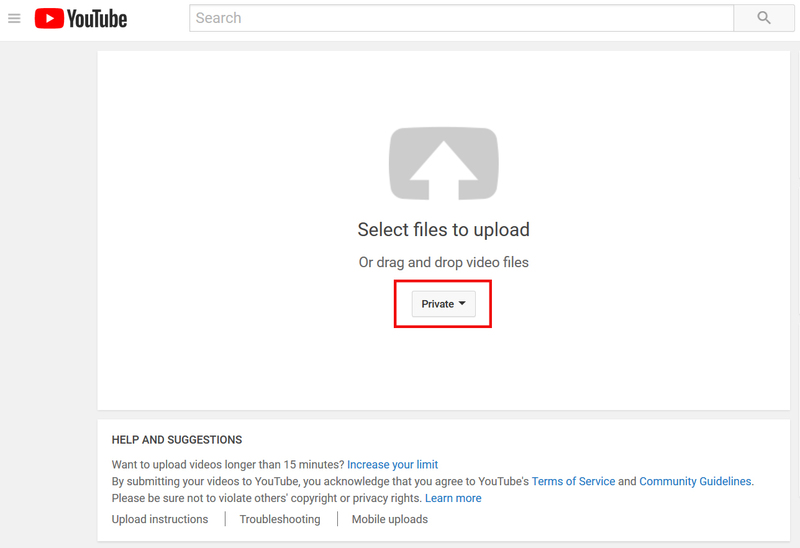 If you want to upload a video that is longer than 15 minutes, you will need to ‘verify’ your account (i.e. prove you are not a bot). Click the link at the bottom of the upload page that says ‘Increase your limit’ if you need to. Once you’ve uploaded your video, you’ll get a link to view it. 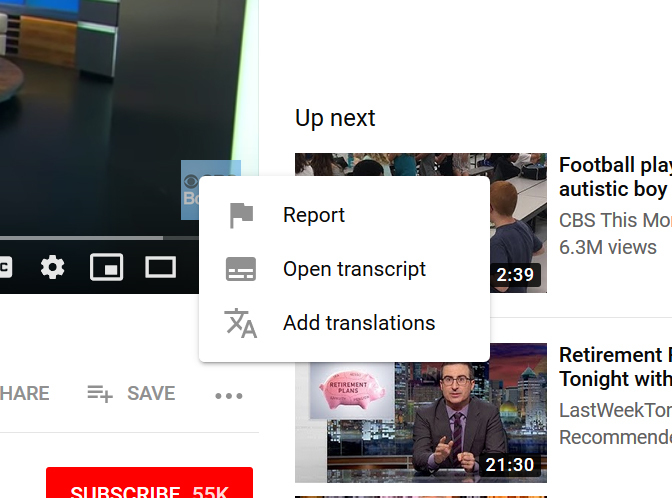 You may want to click the ‘Edit Video’ button below your first video and under ‘Transcriptions’ you can choose the default language for your channel from the long list offered. You may need to wait for ten to fifteen minutes before the ‘Open Transcript’ option is offered for your video. 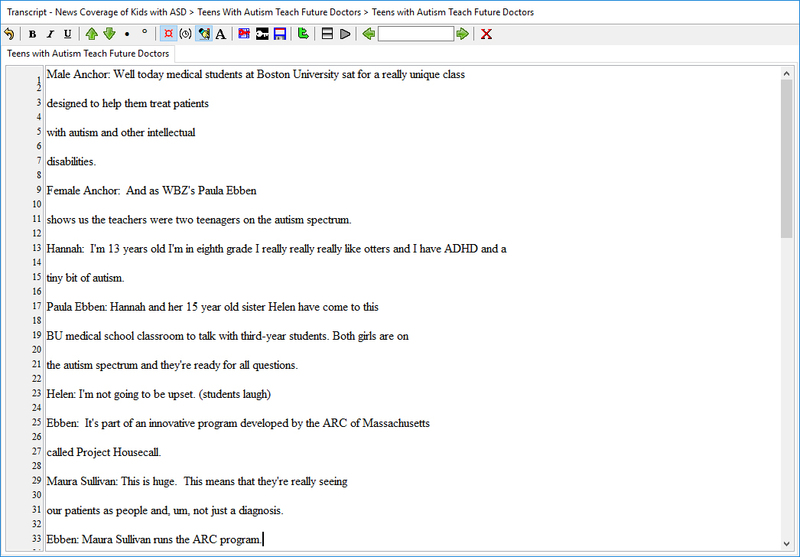 Then you can create the auto-generated transcript as described above. Once you have your transcript copied into Transana or into a Word file, delete the video from your YouTube account.